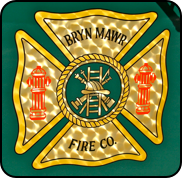 Organized in 1903, Bryn Mawr is commonly referred to as the “Millionaire Fire Co.” due to the many prominent, wealthy members of the community who served particularly during the organization of the company. 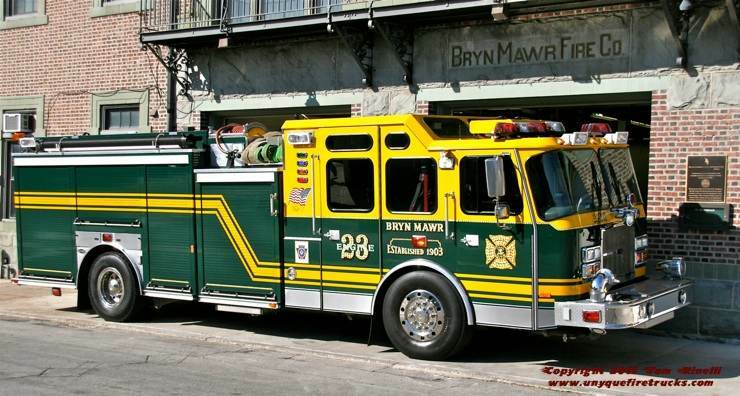 Serving a residential community, the company’s 35 volunteers (supplemented by several full time engineers) provide Fire & Rescue protection to Bryn Mawr & Radnor Township. Ladder 23 - 2009 Spartan Gladiator/Rosenbauer 100’/2000 gpm/500 gal. This rig has a virtual twin operated by the nearby Radnor Fire Co. Squad 23 - 2005 Emergency One 1500 gpm/500 gal. Operating as a rescue engine, this rig features a 15kw hydraulic generator, light tower, on-board air compressor, a 10 ton bumper mounted winch and absorbent hopper. For rescue operations, it is equipped with on-board/portable Holmatro power units supplying pre-connected extrication tools, air bags, rescue struts, air powered tools and a porta-power. Engine 23 - 2005 Emergency One 1500 gpm/750 gal. 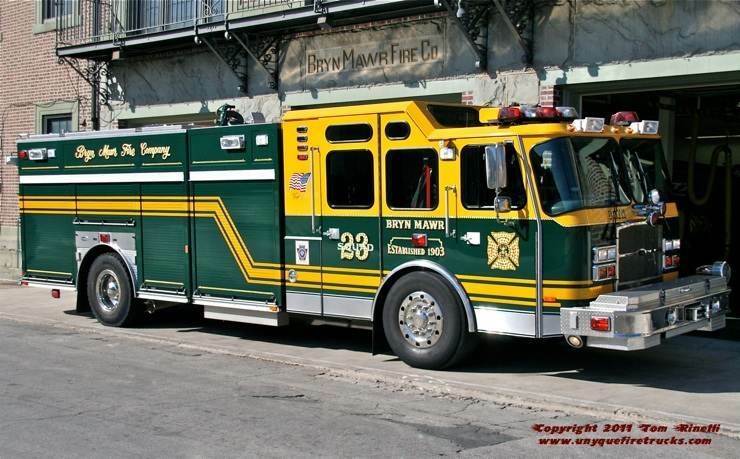 The unique paint scheme was adopted in the early beginnings of the fire company when a member who was the shop foreman of the JJ Durham Carriage Works, a prominent builder of custom automobiles favored by the likes of The Pope and Joseph Stalin offered to paint both their 1904 American LaFrance Metropolitan steamer & a chemical fire engine. 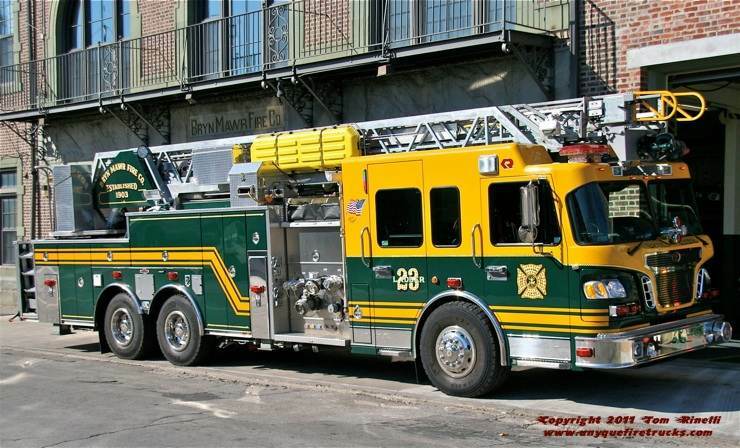 The committee arrived as the foreman was mixing this particular shade of green and impressed by its’ distinctive look opted to paint the apparatus that color which has remained the standard since that time (the yellow upper cab color was added many years later). Special thanks to Engineer Daniel Rodgers for his assistance in positioning the apparatus for photos and providing background information on the department. 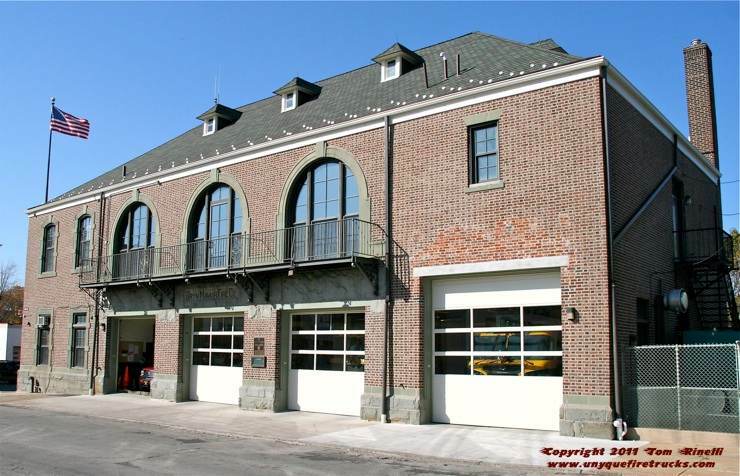 Bryn Mawr operates their entire fleet from this historic firehouse dating back to 1906.